Disclaimer: The FiiO BTR1 sent to us for the purpose of this review is a sample and does not have to be returned to FiiO. Thank you for giving us this opportunity. Bluetooth is getting hot. Even in die-hard audiophile groups, it is becoming a talking point. Blame Apple, possibly, but if there is one thing I do like about recent developments is that sound quality is not being ignored. It is not all lifestyle and jogging products and over the last year or so I have seen some inventive implementations of BT such as Plussound’s BT Exo series cable. The BTR1 is another, more affordable and very flexible solution to those who want wireless and a little bit of choice in their IEM at the same time. The BTR1 price is fairly good value at $49.99 and you can pick it up now in most major retail outlets near you. 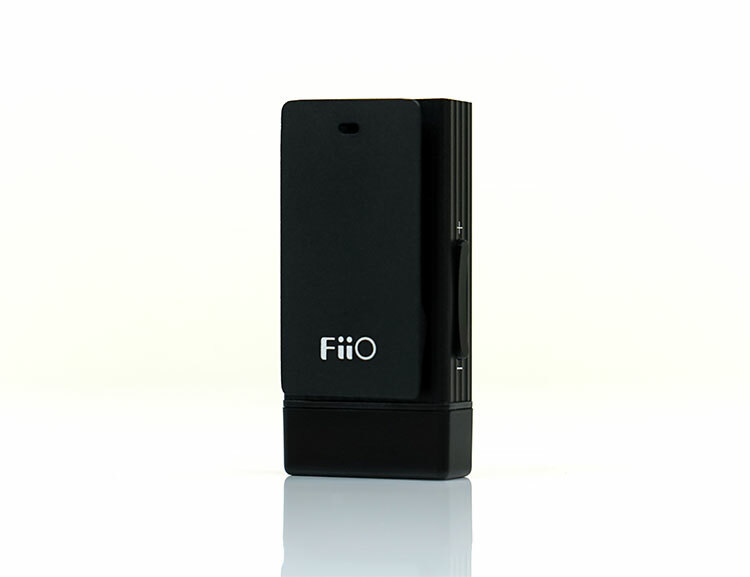 Check out FiiO’s website in the link provided to find out where your nearest FiiO reseller is located. The BTR1 is FiiO’s first ever dedicated Bluetooth DAC/Amp but with a twist. This is not a desktop or USB ready device but rather an ultra-portable “add-on” that turns any IEM or headphone to become wireless. 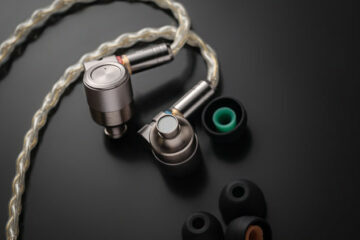 Rather than build a BT capable IEM or headphone, FiiO has decided to leave the choice of headgear to you and supply you with a conversion module. Allowing for choice is a powerful pitch and your only limitation is tonal preference and power handling of the IEM or headphone you wish to use with the BTR1. The BTR1 is designed to work with any Bluetooth capable source available and any IEM or headphone that can use a 3.5mm jack socket. It can also duplicate any in-line functionality you may wish to use such as voice calls and playback control. That means it will appeal to audiophiles and general consumers alike who wish to wirelessly stream from their phones. The technology and decoding are fairly competitive with the use of Bluetooth 4.2 as well as including aptX and SBC codecs which should cover a very wide base of sources for good quality wireless audio transmission. There is no aptX-HD or LDAC in the BTR1. You will find that coming out in their higher end models the BTR3 and BTR5 due out soon. The BTR1 also used an inbuilt AK4376 DAC chip and amp to send an analog signal of up to 30mW into 32Ω to your headgear. Power at that level is going to appeal more to IEM users than headphones users. The BTR1 is small, compact and very light. It only comes in one color, black. The BTR1 is designed to fit neatly away in pockets or discreetly clipped onto a lapel or shirt collar. In fact, it has a fairly decent spring-loaded clip at the back for that very purpose. 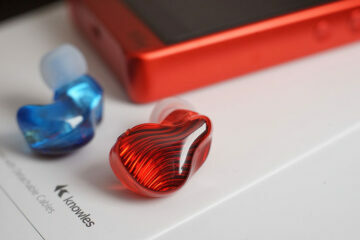 At 20g it is lighter than some IEMs so should not weigh your shirt or coat down. Surprisingly, the BTR1 is made of a lightweight aluminum 2-piece shell rather than hardened plastics. I was expecting cheaper materials at this price point and certainly at that weight. The top longer shell is finished with a series of soft ridges which gives it a nice grippy effect when handled. The bottom is smoother and houses the USB socket. Just off the top front panel is a large circular power button which also doubles up for pairing. It has a number of other functions when in use including voice call receiving and ending, playback initiation and pause as well as triggering the BTR1’s unique sound effect functionality. 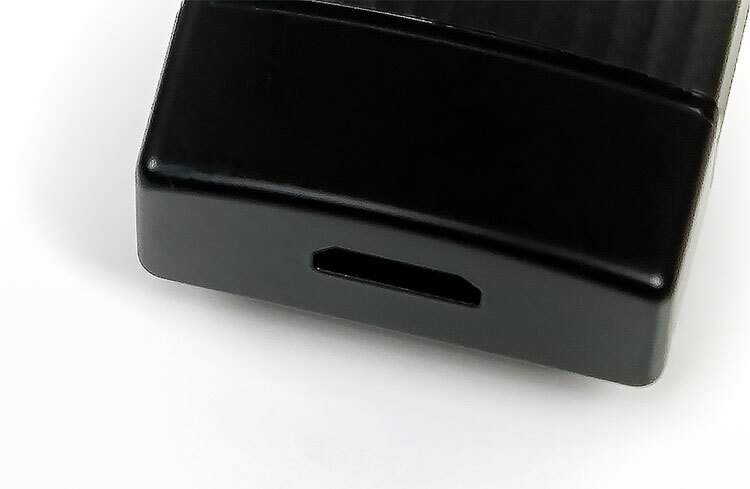 To the side, you have a slimline volume rocker and on the top panel, you have a standard 3.5mm stereo jack input for your IEM or headphones to connect to. The volume rocker also duals as a track forward or back selector when pressed a little longer than normal. Right at the bottom is a small LED light which changes color and flashing intervals depending on the status of the device. Pairing the BTR1 will initiate a rapid blue and red pulse, a red LED light will turn on when charging and finally a green LED light when the sound effect module is activated. The BTR1 uses a built-in DAC/Amp design for decoding to analog output. Unlike some consumer-level BT headphones, the BTR1 uses individual rather than integrated components. The DAC is an AKM AK4376 that acts as both DAC and amplification stage to deliver 30mW into 32Ω output power. That is not huge numbers making the BTR1 more suited to IEMs 30Ω and under. What I particularly like about the use of this integrated DAC and amp chipset is the output impedance of 0.02Ω. If the 30mW output power of the BTR1 makes IEM use optimal and preferred than you need to get that impedance level down and FiiO has done that nicely with the BTR1. This should not skew sensitive IEM response curves. Whilst the AK chip is far more capable than generic integrated BT solutions in consumer devices and can decode up to 32BIT/396kHz you have to remember the signal received will at best be 48kHz/ 16bit since that is the max resolution of an aptX source signal. Everything will get downsampled in the signal before it hits the BTR1 BT receiver. I am pleased to see FiiO include aptX-LL which will reduce the level of latency substantially over SBC and even regular aptX. Those who like to rapidly change tracks, use the voice module etc will find the BTR1 fairly quick and responsive to the commands as a result. The BTR1 uses a minute 205mAh Li-on battery offering up to 8-hours continuous use. That is a bit low for me compared to more expensive Plussound Exo Series BT and Flares Pro BT modules capable of around 10 hours. Things will get shorter if you are using aptX as well as the included sound effects DSP. However, compared to similar BT capable devices at the $50 marker such as the Brainwavz BLU-200 and the Advanced EVO X which are almost half the battery life you could argue that the BTR1 lifecycle is competitive if not superior. Packaging is small and consistent with the price point. Nothing fancy here. Accessories are also fairly simple but then again, I am not too sure what more you need. 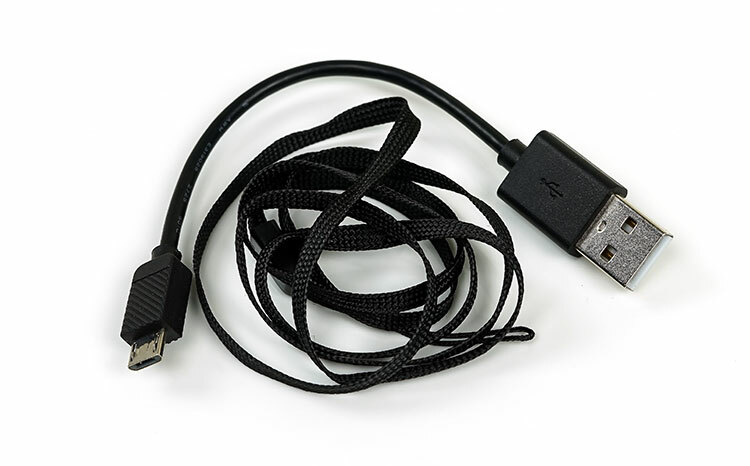 You get a short USB-A to micro-USB cable for charging the BTR1 as well as a black strap that slides into a small notch at the back of the belt-clip. This will allow you to dangle the BTR1 from around your neck when on the go and place less strain on the 3.5mm jack.